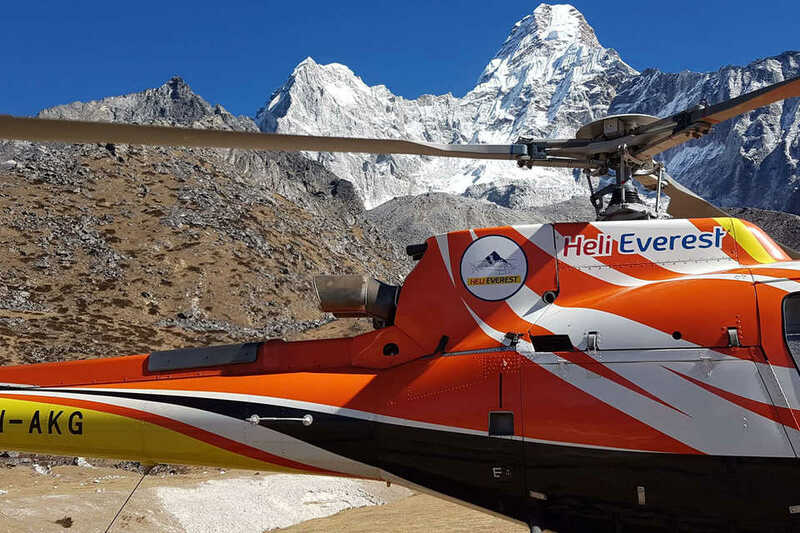 Observe and feel the natural beauty Himalayan of Nepal and the Himalayas on a 4-hour Everest Base Camp helicopter tour 2019 . 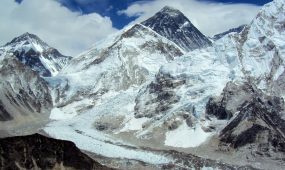 This tour is the easiest way to visit Mount Everest and see the surroundings from a height of more than 16,000 feet (5,000 meters). 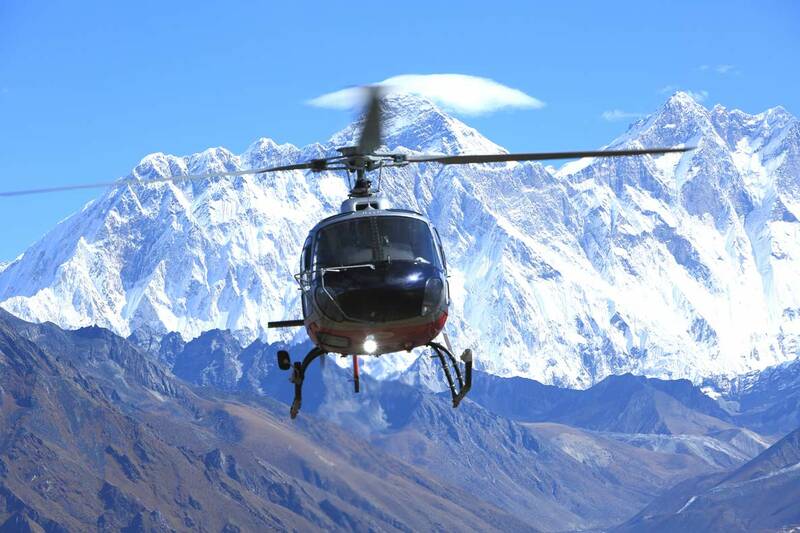 See Mount Everest and its surrounding nature from inside a helicopter on this 4- 5 hour helicopter ride from Kathmandu. 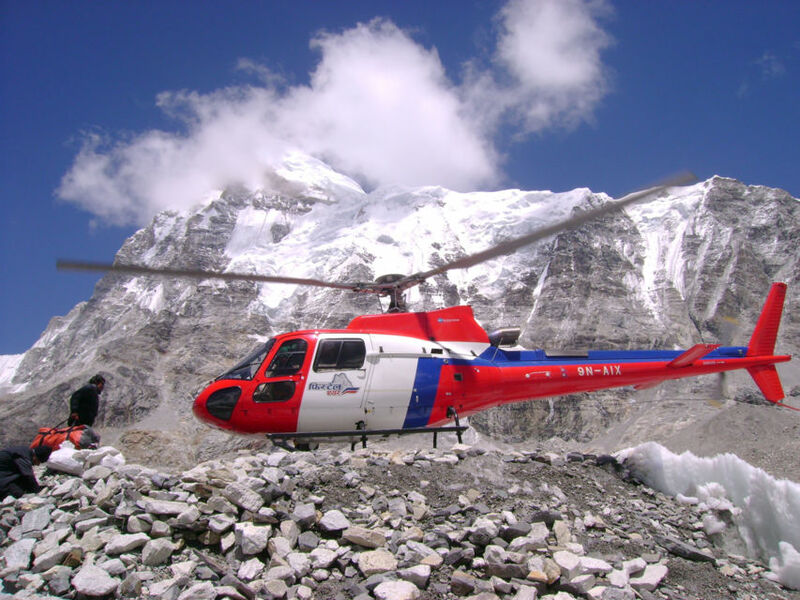 The Everest Base Camp Helicopter Tour meets the desires of tourists who want to take advantage of seeing the most of the area in a short amount of time, and is good for persons in any kind of physical shape. 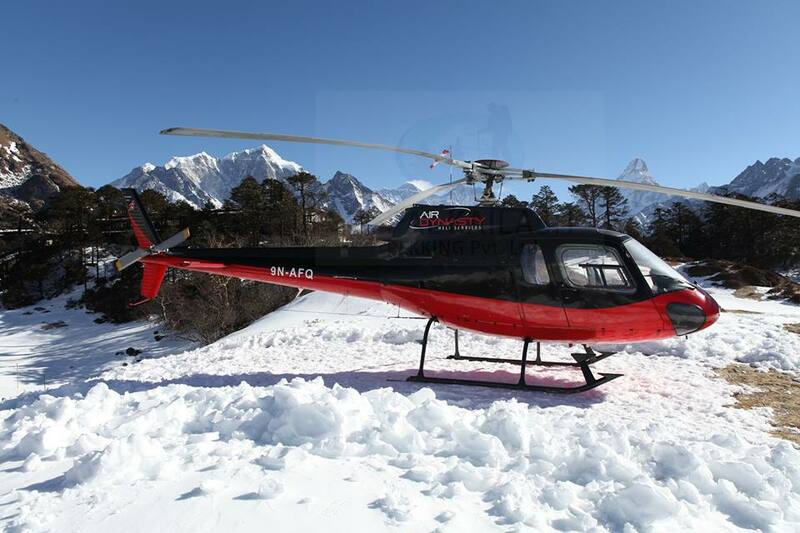 Your journey starts from Kathmandu Airport with a helicopter moving eastward, flying parallel to the Himalayan range, allowing magnificent vistas of the soaring Himalayan peaks. 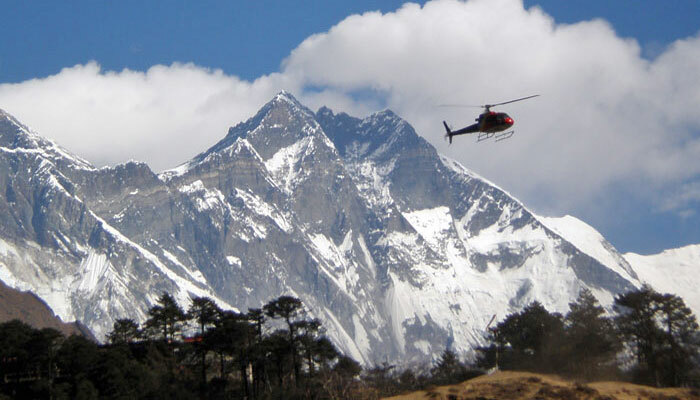 After landing at Lukla for fueling, you will fly to the airstrip in Syangboche, located at 12,340 feet (3,761 meters), or if you wish to have breakfast at Hotel Everest View, the helicopter will land at the hotel’s helipad. From Syangboche your tour will take you closer to Mt. Everest and all the magnificent Himalayas, like Amadablam, Pumori, Number, and Cho Oyu. 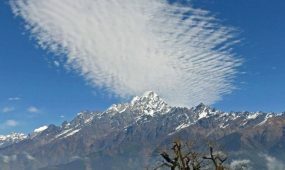 The Solukhumbu (Solu) region of Nepal, where Mount Everest is located, has been a magnet for travelers ever since its opening to foreigners in 1950. This region is famous not only for its proximity to the world’s highest mountain but also for its Sherpa villages and monasteries with their virtually unchanged unique culture. 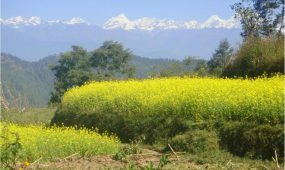 Solu has received countless trekkers and mountaineers from all over the world. 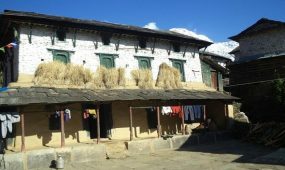 Solukhumbu has developed to a stage where many options are possible, from a full-scale expedition with tents and porters, to an independent trek using the local lodges. Sagarmatha National Park, established in 1976, covers much of this region. 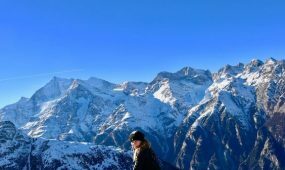 This fascinating land, surrounded by high mountains, is a real paradise for mountaineers and trekkers. Depending upon the crowd at the base camp, you will land either at Everest Base Camp or head closer to Kalapathar for a quick photograph. 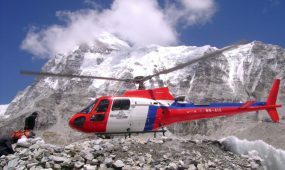 After, the helicopter will fly you back to Syangboche or Lukla and to Kathmandu Nepal Guide info Team organized every day in autumn and spring.